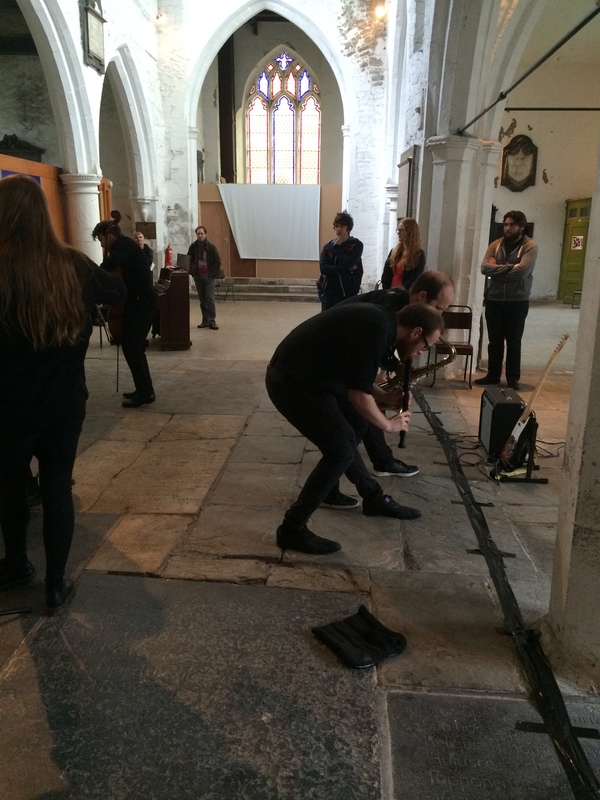 Moving completely out of my comfort zone this week, I ventured to York to view a concert of experimental and exploratory music; a performance unlike anything I have seen before. 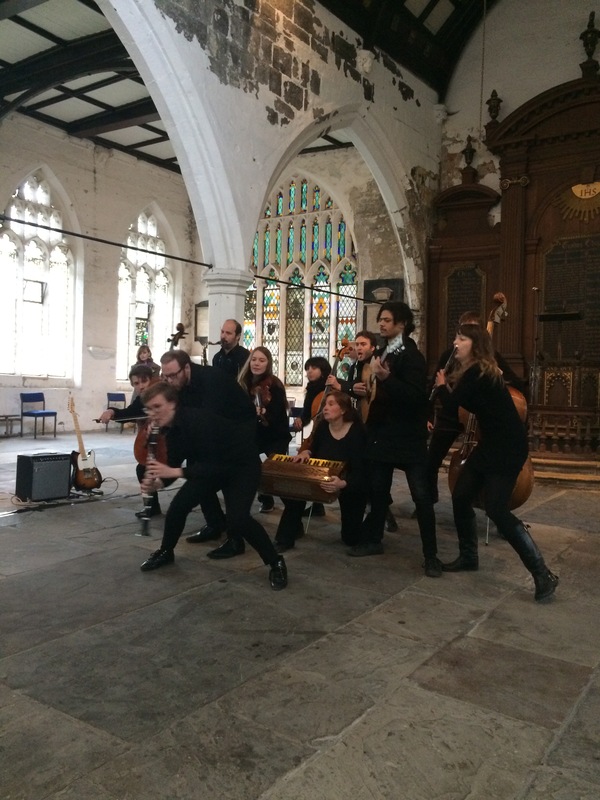 It was certainly not at all as I expected, the abandoned church was the perfect space for the music and performance especially for the eerie first piece line/ shadow but with no evident stage, performance space or seating for the audience I was a little confused. However as the musicians began to mingle with the audience, chatting to friends and family enabled us to feel relaxed, to await the unexpected. 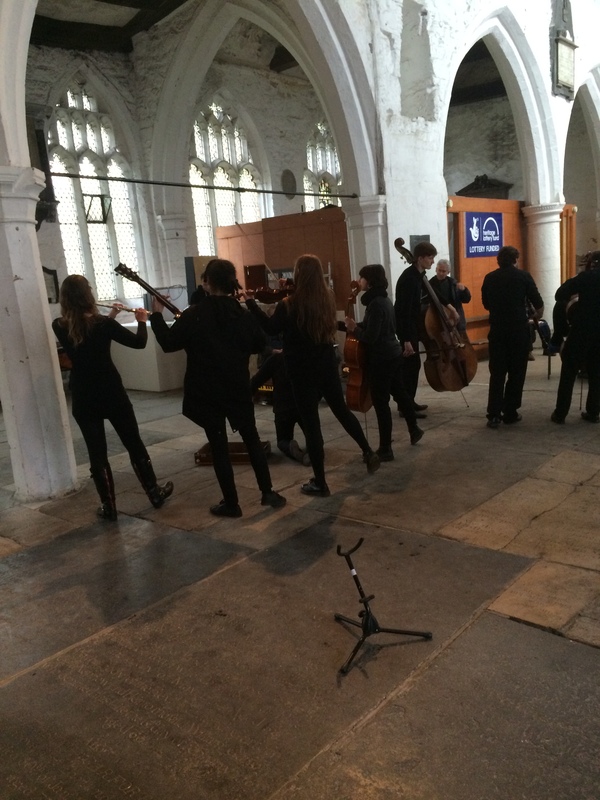 Then it begun, very quietly without any announcement; a sole violin amongst the dusty church. An aspect that has now been completely removed from concerts today is the interaction between the audience and the performer, the ability to see and explore what is surrounding you. Yet here, we were encouraged to move, expected to alter ourselves as indeed the concert altered in front of our very eyes. It was a sense of freedom and collaboration between each performer to one another, but in turn to the audience too. The pieces ran into one another, permitting the concert to flow and alter around the audience. Then we came to the silence, the performance carried on but all notes were abandoned, we saw the very essence of the music with each note reached for, but left behind. It made me question what music is to us, certainly not just a sound; a performance. Then when aspects of this are removed, the status of music becomes unknown, is it music? Or now simply an act? With clear innovation, this experimental music presented an interactional way of performing previously unknown to me. It permitted the ideas we hold of music to be questioned and altered. Giving new perceptions to what we view music to be. The Assembled performed on Sunday 3rd May at The Stained Glass Centre, York.